Geneva, 16 November 2012 – Low-lying island States lead by the Federated States of Micronesia gained new support for their effort to reduce super greenhouse gases know as HFCs under the Montreal Protocol, winning the backing of South Africa, Nigeria, and other climate vulnerable countries in Africa and throughout the world. The progress came as the Parties to the Montreal Protocol on Substances that Deplete the Stratospheric Ozone Layer concluded their annual meeting in Geneva today, in the shadow of the global climate negotiations, which resume later this month in Doha to start negotiations on a treaty to go into effect in 2020. “Reducing factory-made HFCs under the Montreal Protocol is the biggest and fastest and probably cheapest climate mitigation available to the world today, and absolutely essential to slowing down the punishing climate impacts the world is already experiencing, including climate-enhanced weather events like Super Storm Sandy,” said Durwood Zaelke, President of the Institute for Governance & Sustainable Development. “The Montreal Protocol has already phased out 97 similar chemicals by nearly 100% and has the expertise and experience to immediately phase down HFCs”, he added. The primary issue at the Montreal Protocol meeting was how to control HFCs, super greenhouse gases that the Protocol has inadvertently encouraged companies to start using as substitutes for the chemicals the Protocol is phasing out, to the great detriment of the climate. Party after Party pointed out the Protocol’s role in promoting the use of HFCs as a reason for the Protocol to now accept responsibility for phasing down the use of these climate pollutants, even though they do not affect the stratospheric ozone layer. 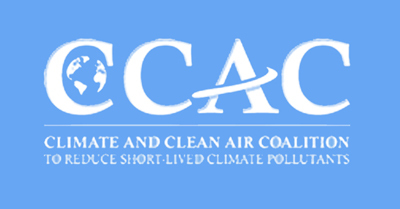 All together, 110 Parties now support action on HFCs. Many countries, including South Africa and Nigeria, supported immediately forming a “contact group” to launch formal negotiations on the HFC phase-down. South Africa, whose strong position came as a welcome surprise, noted that factory-made HFCs are amenable to a phase-down of their production and consumption, which is the approach taken by the Montreal Protocol, and suggested that the treaty was suitable for addressing HFCs. South Africa further noted that there is no need to “reinvent the wheel” by developing such a phase-down under the primary climate treaty, the UN Framework Convention on Climate Change, which aims to reduce the downstream emissions of greenhouse gases, not to phase down their upstream production and use. It was revoltingly shocking to, to hear some countries say, that this is not the right forum to address this issue. Ladies and gentleman, for countries like Maldives, who are on the front line of climate change impacts every forum is a right forum. We have no choice. No time to spare. So please do not say that this is not the right forum to address what impacts global warming when actions that are promoted in this very forum has negative impacts on climate change affecting lives and livelihood. It is morally wrong not to acknowledge it and address it. … Montreal protocol, Ladies and gentleman, has been hailed for the tremendous climate benefits it has already achieved. Therefore, I urge those who are blind to the inherent link between ozone protection and climate change, not to turn the Montreal Protocol, to a vehicle that promotes HFCs on the premise that other UN Conventions will take care of the problem we have created here. That would be the height of irresponsibility. China and India and a few others continued to argue that the Montreal Protocol was not the right forum for phasing down HFCs and continued to block formal negotiations. The majority of Parties in Geneva, however, recognized the need for urgent action to slow climate change and found a way around China and India by establishing a “discussion group” to address HFCs, prompted in part by a suggestion from the Russian Federation. Also urging fast action under the Montreal Protocol, Mr. Chakour Abderrahim, the head of the Moroccan delegation, stated, “The phase down of HFCs under Montreal Protocol is a logical continuation of the phase-out cycle for other fluorinated gases. Understanding the urgency posed by climate change, the Kingdom of Morocco believes that the Montreal Protocol is the competent body and the suitable platform to tackle the issue of HFC production and consumption.” Morocco officially joined the Federated States of Micronesia as co-sponsor of the formal HFC phase-down amendment. In Brazil earlier this year more than a hundred heads of state signed the Rio+20 declaration, The Future We Want, supporting an HFC phase-down. Since 2011, 110 Parties to the Montreal Protocol have expressed support for action on HFCs, including those who signed the Bangkok Declaration and the Bali Declaration. The Montreal Protocol is widely regarded as the best environmental treaty the world has ever created. The Protocol has phased out 97% of the production and use of nearly 100 ozone-depleting substances (ODS), and set the stratospheric ozone layer on the path to mid-century recovery. Because many ODS are powerful greenhouse gases, the Protocol has also provided critical climate mitigation equivalent to 135 billion tonnes of CO2, in contrast to 5 to 10 billion tonnes of CO2-equivalent under the Kyoto Protocol during its first commitment period, which ends this year. HFCs are used in refrigeration, air conditioning and insulating foams, and are the fastest growing greenhouse gases in many countries including the US, where they grew nearly 9% between 2009 and 2010. Global growth is 10 to 15% per year. In addition to the formal proposal to phase-down HFCs production and use from the Federated States of Micronesia and Morocco, the United States, Canada and Mexico also submitted a formal proposal. These were the starting point for the discussions this week in Geneva. The proposed HFC phase-down amendments are here and here. The Maldives statement is summarized here. Previous postGlobal air quality to worsen significantly under ‘business as usual’ human activity Next postMinistros de 25 países se comprometen a una ampliación en la Acción Voluntaria para reducir los Contaminantes Climáticos de Corta Vida.